An Earth Day call to protect the people, property and environment of the Denver region. According to 9News, “Denverites throw enough trash in our waterways to fill up 7 semi-trucks per week.” What that trash is varies. Sometimes there are serious materials that pose threats to public safety, such as ammonia filled tanks used for cooking meth. Sometimes the items are perfectly safe — like a relatively new tricycle. Some are just absurd — like the 150 bicycles that were once found in a drainage system. These items can pose serious public health and environmental concerns for the Denver Region. These impacts include, but are not limited to: impacts to vegetation, soil erosion, water quality, and hepatitis outbreaks. Additionally, extensive remediation efforts are then required to keep the public safe. Regardless of whether harmful or harmless, people shouldn’t be polluting our streams and rivers. We hope this article shows you the importance of taking better care of our waterways. One of the functions of our agency is to clear debris from the river. It can be natural debris such as vegetation or sediment, or more hazardous items or even human-inflicted waste. We hope people will start taking better care of the river, and we will have to do less debris removal from our beloved waterways. To shine a light on the pollution and our work protecting people, property and the environment, here are the 10 of most shocking items that have caused these concerns. 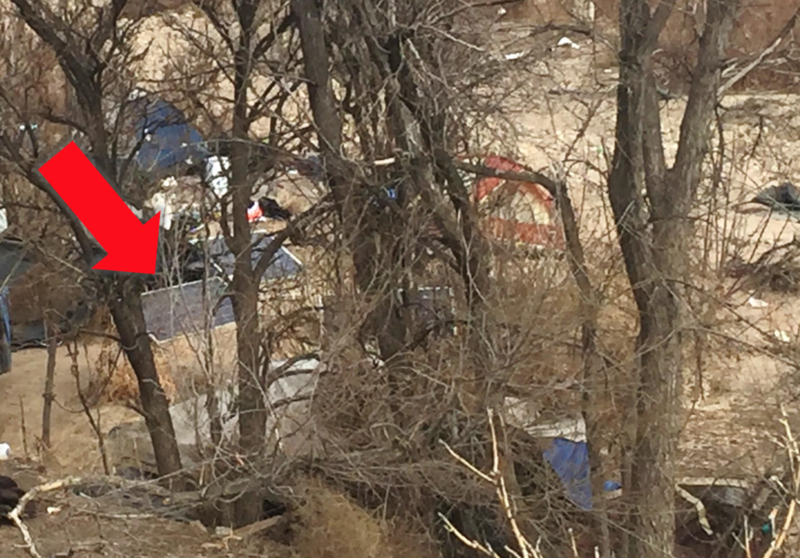 One of the more common items we find along the river are propane tanks. While most of these tanks are empty, we occasionally find them filled with ammonia. Ammonia is a key ingredient in cooking methamphetamine. 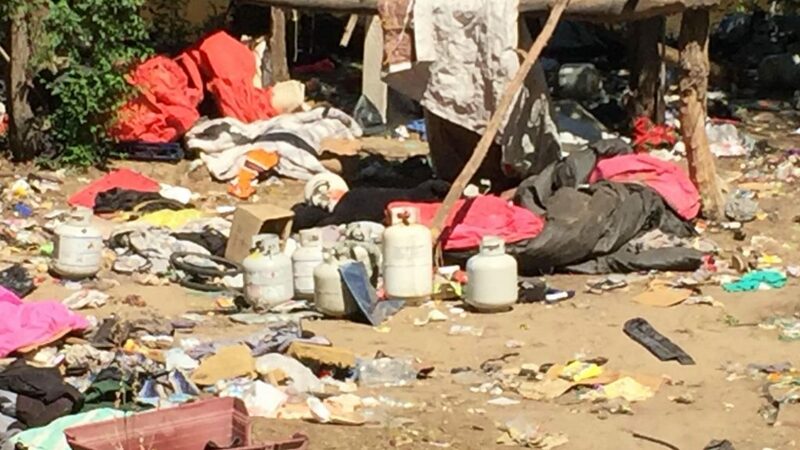 In isolated cases, people have been cooking meth along the river. This is dangerous for several reasons. Exposure to ammonia can cause burns, blindness, severe damage to the nose and throat, and even death. This also poses a health and safety risk for our crews that need to remove them. The opioid epidemic is hitting the United States and the Denver region hard. Our rivers are also feeling the impact off the epidemic. 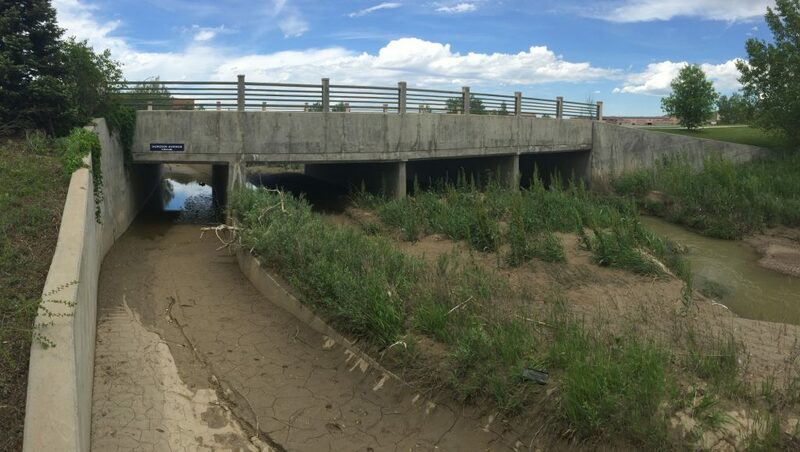 According to Denver Parks and Recreation Ranger Bob Toll, 1,579 syringes have been removed from the waterways. Syringes are obviously dangerous. If someone is pierced by a used syringe they can contract hepatitis b, hepatitis c or another disease like HIV, according to the National Health Service. If these needles are left along the waterways, then heavy rains can wash them downstream. We focus on removing the needles before they ever get the chance to harm someone in our community. 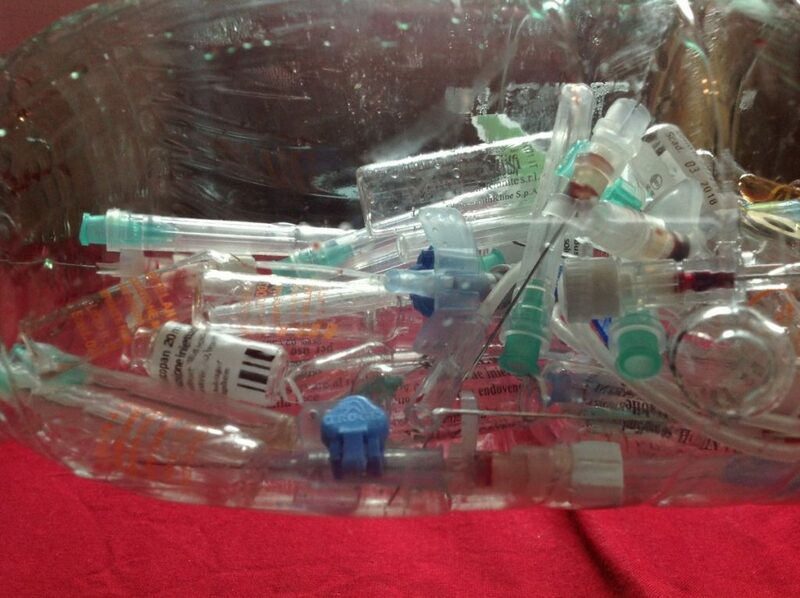 But, the clearest and most practical answer is for individuals to safely discard their syringes. Various safe discard areas exist within the Denver region. We encourage you to visit this link to learn about where they are. Addiction is a serious issue. Our agency does not directly address addiction issues. But, we encourage those suffering from opiod addictions to visit Denver’s Department of Human Services. At DHS, people suffering from addiction can visit the Office of Behavioral Health Strategies for help. 150 bicycles were removed from the storm drains shown above. 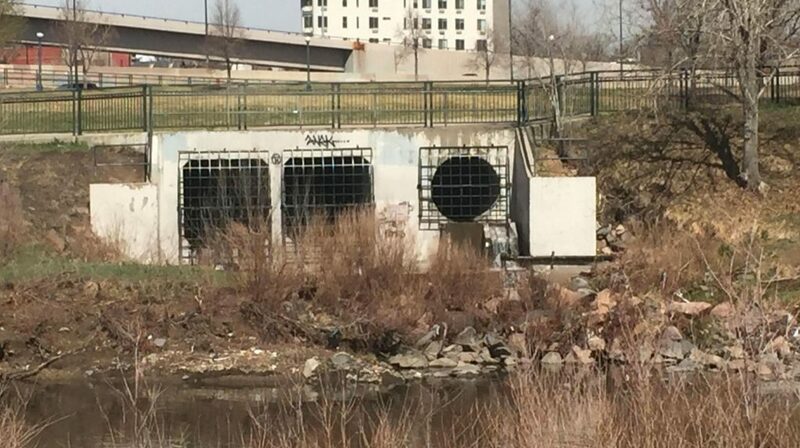 Denver Parks and Recreation believed that someone was selling stolen bikes out of the drains. After learning about this, we secured the storm drains with gates. That way only authorized personnel can access the drain. File this one under the bizarre. We once pulled a suede sofa out of Little Dry Creek. 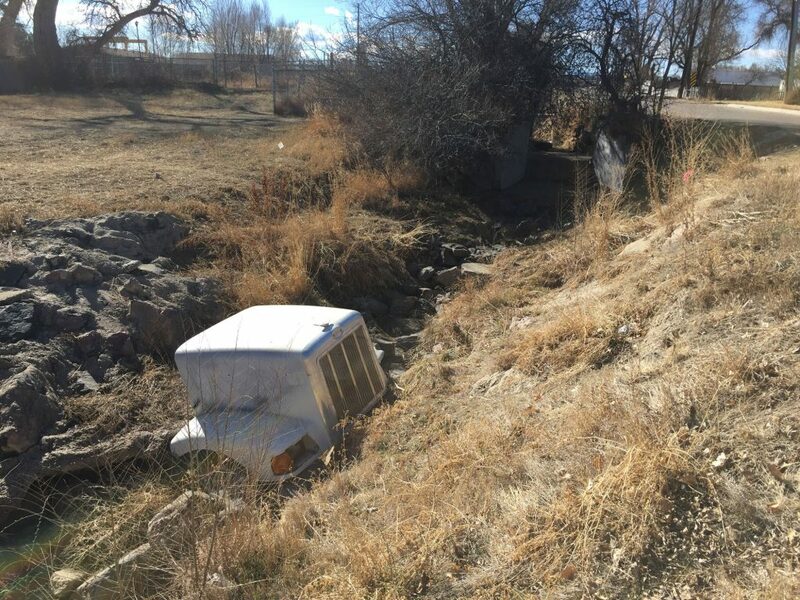 Solar panels are occasionally left behind when campsites are abandoned by urban campers, who are often driven to our urban waterways when forced out of municipal parks and business districts. Someone took the expression Ditch the Dish a little too literally. We pulled out this dish from Hoffman Drainageway. This truck part also came from Hoffman Drainageway. We don’t know how it got there or why it’s there. It probably could have been sold to a scrap yard. Rest assured. 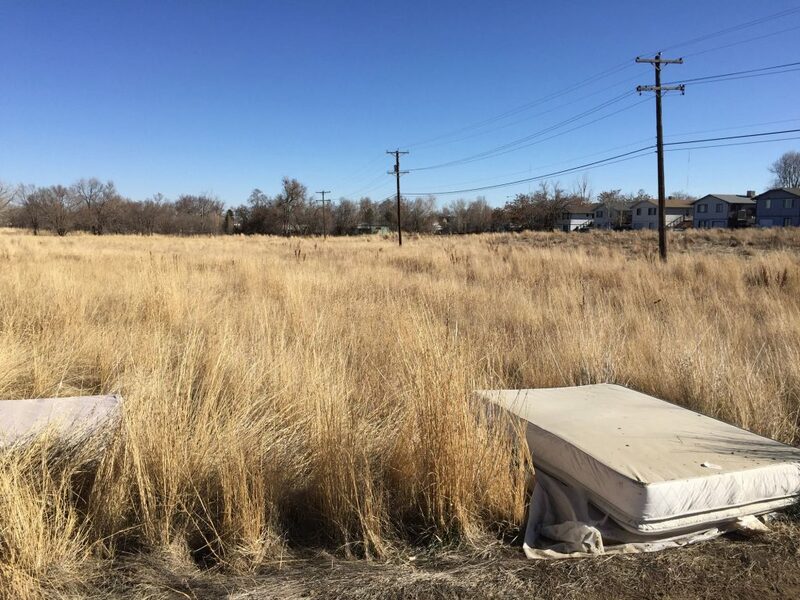 You can sleep easy tonight, knowing that we pulled these mattresses out of our waterways. 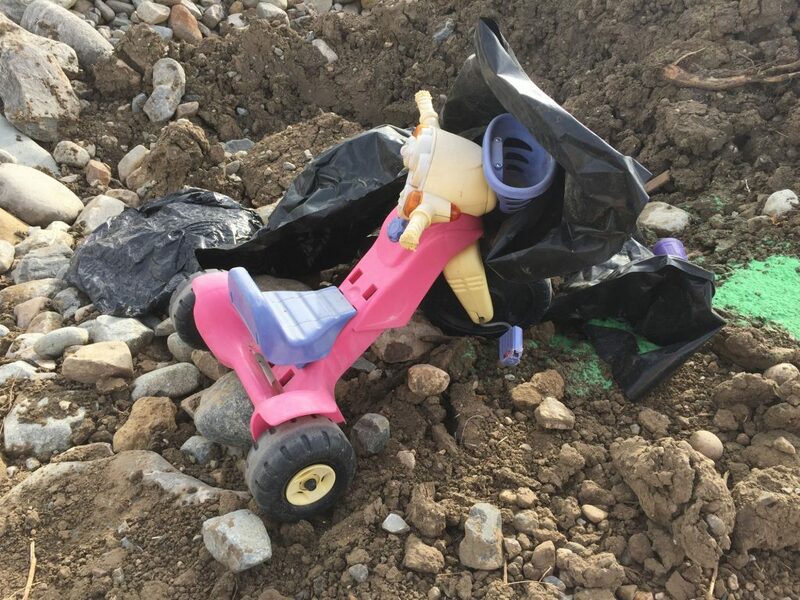 We pulled this perfectly good children’s tricycle out of Little Dry Creek. There are a number of children and families that would appreciate great toys like these. For those thinking of depositing toys in the river, please consider donating them to Denver Children’s Home, Goodwill or any of the organizations listed in this link. Okay we admit it. Sediment, vegetation and natural debris are not shocking. But they also are part of what we remove. Sediment forms over time, and can block waterways making them susceptible to flooding. For example look at the image above, which was taken on Rock Creek. So much sediment and vegetation has built up in the middle of the waterway that flooding is now occurring along the path. We remove the vegetation and sediment so that water flows where it was designed to flow. People polluting our waterways is upsetting. 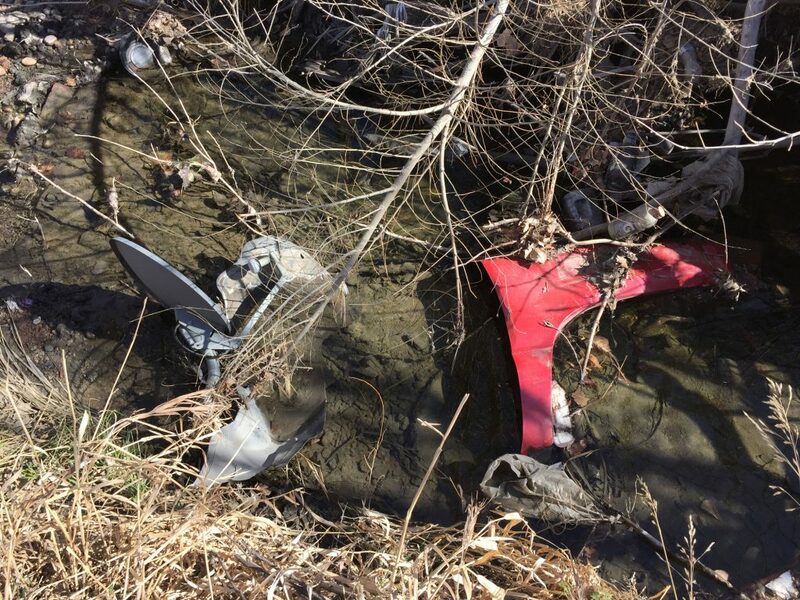 It not only is expensive to remove the trash and debris, it damages the natural environments we are trying to protect along our rivers and creeks. Design new trails with purposeful vegetation to discourage unwanted behavior. Encourage construction workers to shield equipment, lock tanks, secure storage, and enhance onsite security. Increase law enforcement and ranger presence. Improve local partnerships to enhance operations and maintenance efforts. There are also ways for you to get involved in protecting our natural resources, in addition to supporting the Flood Control District. If you are someone who litters. We encourage you to please stop. Most people don’t litter. We encourage these folks to participate in river clean up days, such as the Green Foundation’s River Sweep. Less formally you could also safely pick up a piece of trash next time you are near a waterway, and discard it. 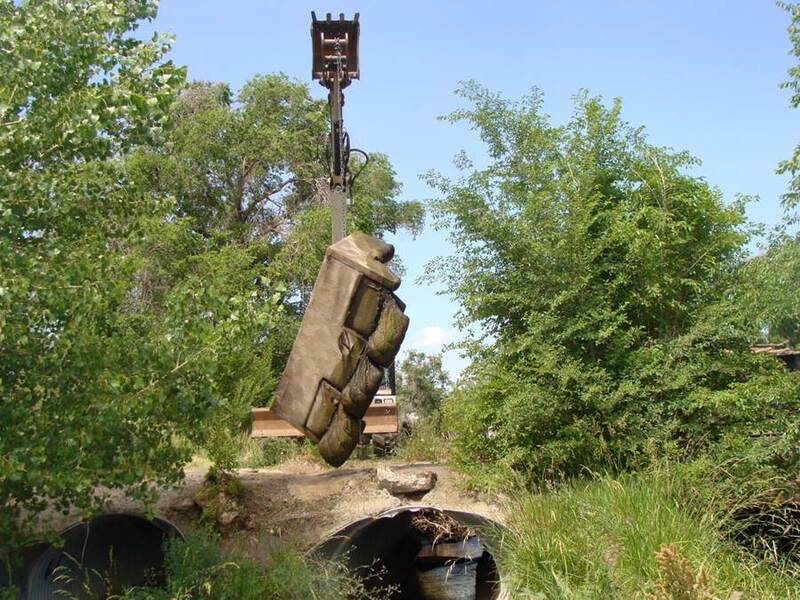 We hope this article sheds a bit of light on the work we do to remove debris from waterways, in order to protect people, property and our environment. While we hope it entertains you, we also hope you share this list with other members of your community. Together we can create cleaner waterways and a better quality life for all.